Founded since 1901 with the history of over 115 years of construction and development, Da Nang Port has been being proved its important role in the economic – social development of the region, as well as confirming its stature as the largest seaport in the central Vietnam nowadays. 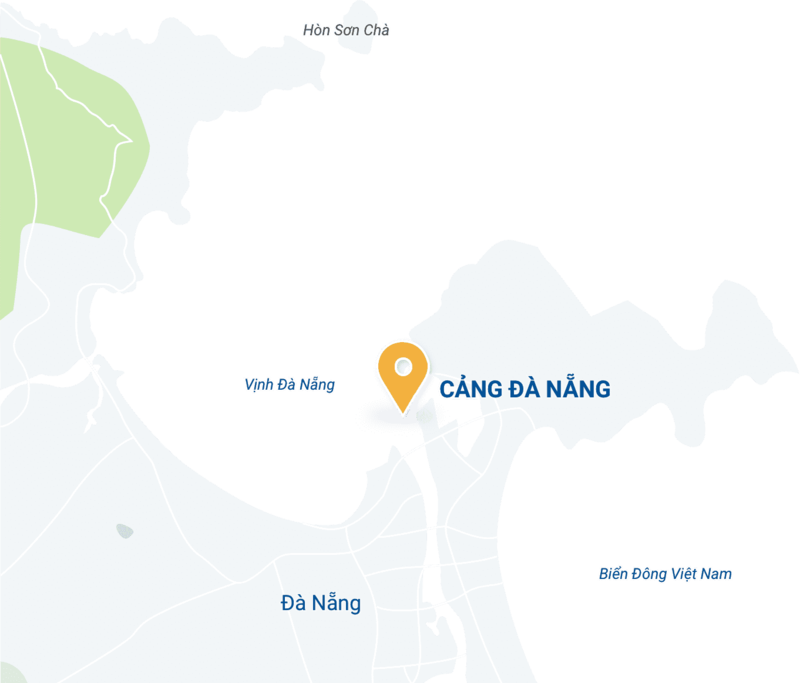 Da Nang Port is located in Da Nang Bay with the area of 12km2 and the convenient transportation system; now, it is an important gate in the logistics service chain of the Central Vietnam. Da Nang Port is also selected as the terminus of the East–West Economic Corridor, linking four countries including Myanmar, Thailand, Laos and Vietnam, also as the main gateway to the East Sea for the entire region. Currently, Da Nang Port includes the main port as Tien Sa Port and its subsidiaries, owns nearly 1,200m of berths with the capacity of receiving cargo vessels up to 50,000 DWT, container ships up to 2,500 Teus and passenger ships up to 75,000 GRT; in addition, the loading and unloading equipment and modern warehouse, in order to ensure the exploitation capacity of up to 8 million tons/year. Operating with the principle of Integrity – devotion – creativity and respect for the individuals, with the motto of Productivity – Quality – Efficiency, Da Nang Port incessantly attempted to enhance the customer’s satisfaction by providing better and better services, with simple procedures and orienting into the practical benefits of the customers, in accordance with the target of Connections for prosperity, which Da Nang Port set forth.